Not your ordinary cold case! Photographer Wendy Fairmont is excited to book a gig at a child’s birthday party. But when Mr. Squishy is found frozen to death in her parents’ freezer, all signs point to the lodge’s housekeeper. It’s up to Wendy to sort through the suspects and clear her friend’s name. Meanwhile, she has her own family drama to deal with. She and her estranged brother have old business to sort out. And what about Jake? Can she make room for a new romance or will she shut him out? The sheriff is busy with a movie crew in town, but not too busy to harass Wendy. 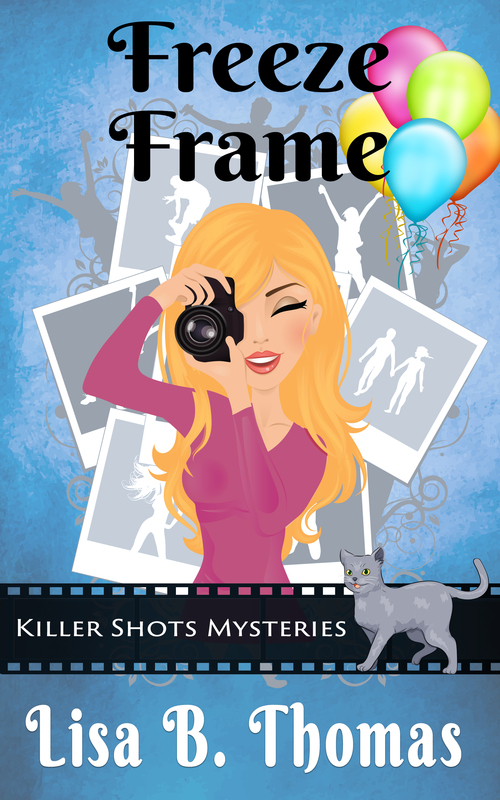 Freeze Frame is Book 2 in the Killer Shots Mysteries. It’s another fun, flirty, and snarky puzzle by Lisa B. Thomas, author of the Maycroft Mystery Series.